But it would seem that Tesla enthusiasts are more inclined to embrace change than the average consumer. According to a poll we published earlier this week, 85% of our readers prefer the new Model S fascia over the original nosecone design. 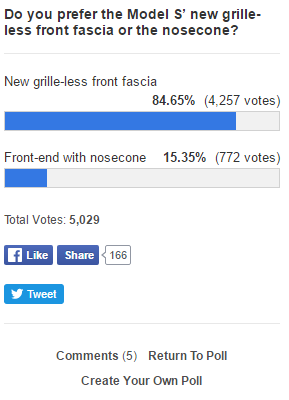 A strong majority, 84.64% (4,254 votes), said they prefer the new grille-less front fascia. As I discussed when posting the poll, I personally agree. 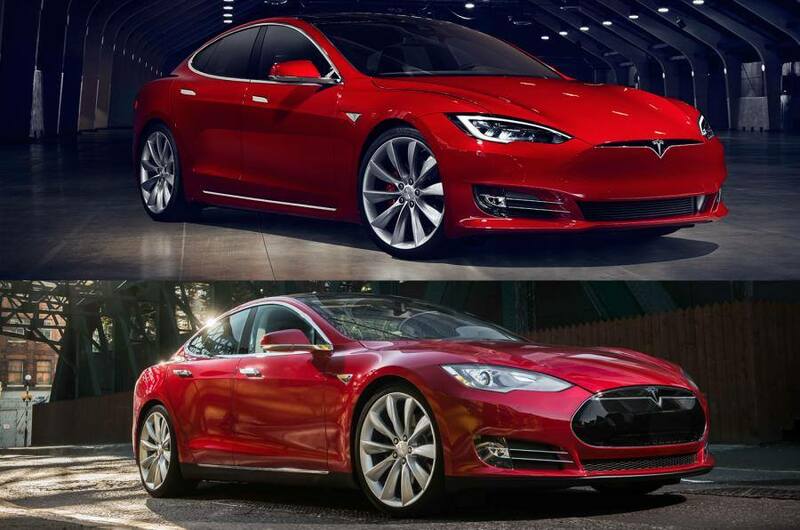 I think it’s a ‘no-brainer’ improvement as I always found the nosecone to be superfluous on the Model S.
The fact that Tesla introduced the production version of the Model X and the new Model 3 prototype both with grille-less designs probably helped create the positive reaction Tesla’s new flagship sedan enjoyed this week. Most Tesla enthusiast (and electrek readers) knew it was coming and already made their peace with the nosecone going away.